One important change to the SEO arena was made in 2005: The ability to create a nofollow link. That’s right – nofollow links weren’t always a thing. After people began to use spam tactics, such as posting links to others pages in all types of formats, like through blog comments, the nofollow feature was introduced. However, not knowing how to make a nofollow link is still common. Now, nofollows are used for a variety of reasons. 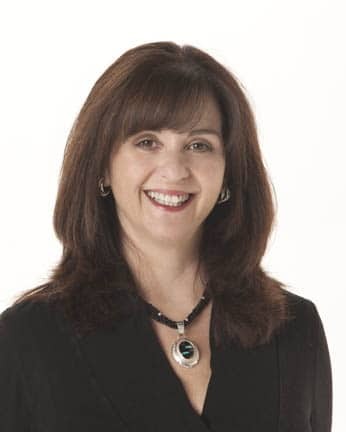 At Roaring Pajamas, we believe – in our heart of hearts – that the technique is not used enough but is very important. Let’s address why and how you can start implementing this feature ASAP. 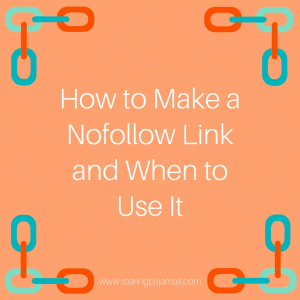 First, What is a NoFollow Link? So, before we jump into tactics for why and how to make a nofollow link, let’s confirm what we are typing about! Here’s what we mean by this term. A Nofollow link is a link (hyperlinked text) on a web page we tell to not attribute any of the page’s authority to the linked external site/page. Here’s an example to clarify! The bot goes to that page and explores, getting to know the page’s content and quality, as well as your own content and quality. The crawler then connects that site’s features and credibility to your own. 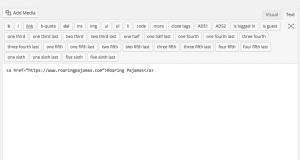 The fact that the crawler shares your authority with the target page is very important. So, your default for links should be set to nofollow. Then, whenever you know you want to provide a follow link, that being a more rare situation, remove the attribute as needed. First, here’s how to set it up! To make a nofollow link, add a nofollow attribute to the <a> or hyperlink tag on your page. This attribute allows the visitor to click the link – but tells the search engine not to share your page’s authority with the target page. 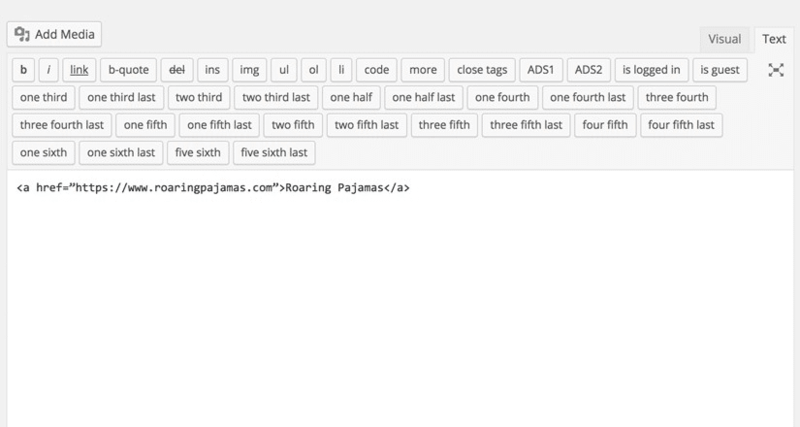 Here is how to add that attribute to the tag. Create a link in the visual view in your content management system (CMS). Switch to the HTML view in your content management system. This mode is often dubbed “Text”, for example, in WordPress. Once you enter this mode, find the correct link in the code by searching for “<a”. Add the necessary attribute to the link. Add “rel=nofollow” to the link. See the example below. And there you have it, how to make a nofollow link! The nofollow attribute is meant to be used in situations where you want to provide a link to content, but the site either does not need any of your authority (the site has more authority than your site), or for other reasons, you don’t want to share authority. The nofollow link is ideal for other specific situations, such as those below. Use a nofollow on links to pages requiring registration. If the visitor needs to login when they get to that page, use a nofollow link. If you have a reward or paid partnership with a brand, adding the nofollow attribute is the right, ethical step. Essentially, non-editorial links may have the attribute. This also includes press releases or other types of paid links. 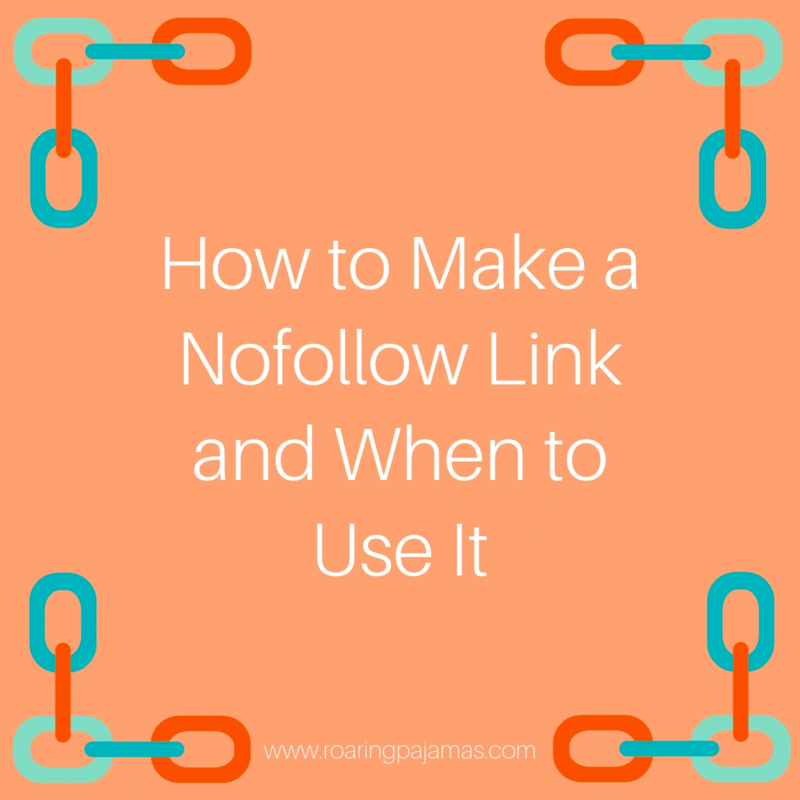 You now know how to make a nofollow link – but should you? There are times when sharing authority is ideal, such as linking to a high-quality article that offers great value or to partners and sources you trust. For example, if you are a website designer and just designed a gorgeous website for a client, link to that with full authority. If you are co-hosting a podcast with an established entrepreneur, link to that podcast and link the entrepreneur to their website. This is a great way to share the love and your authority! For additional link strategy, we suggest also studying how to create the best quality backlinks. So today, in addition to learning how to make a nofollow link – up your SEO game even further by exploring how to build quality backlinks and why they matter. And, if you have any questions or thoughts on using the nofollow strategy?